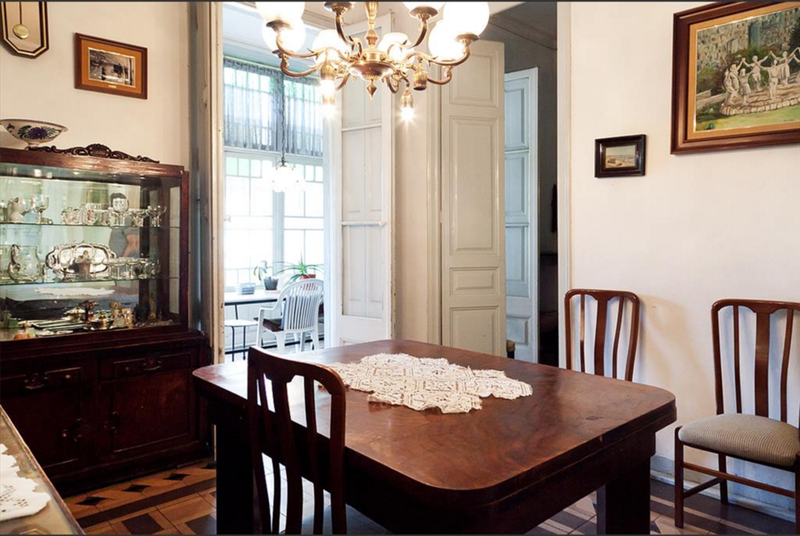 When we entered for the first time with the client, one glimpse was enough and he knew this would become his new home in Barcelona. 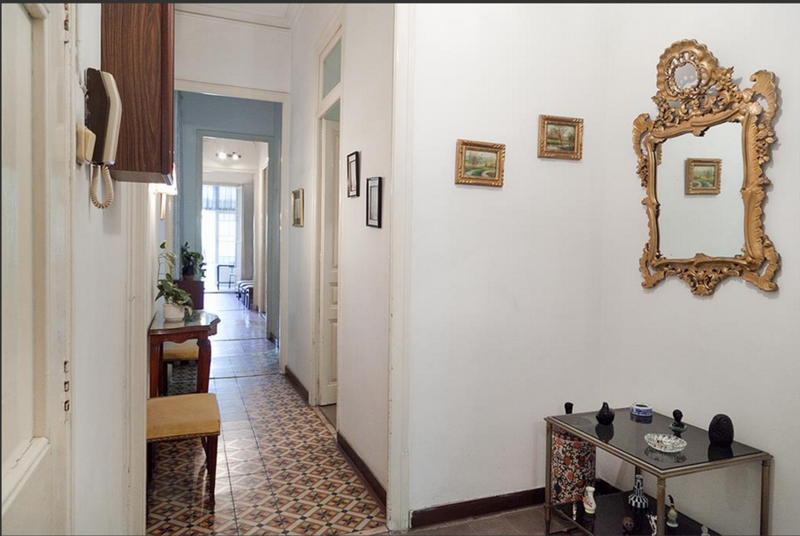 A typical Eixample apartment on first sight - a long narrow tube with two internal air shafts - it all changed when we arrived at the back of it, looking down into the wild garden that could be reached by a narrow staircase to the left. 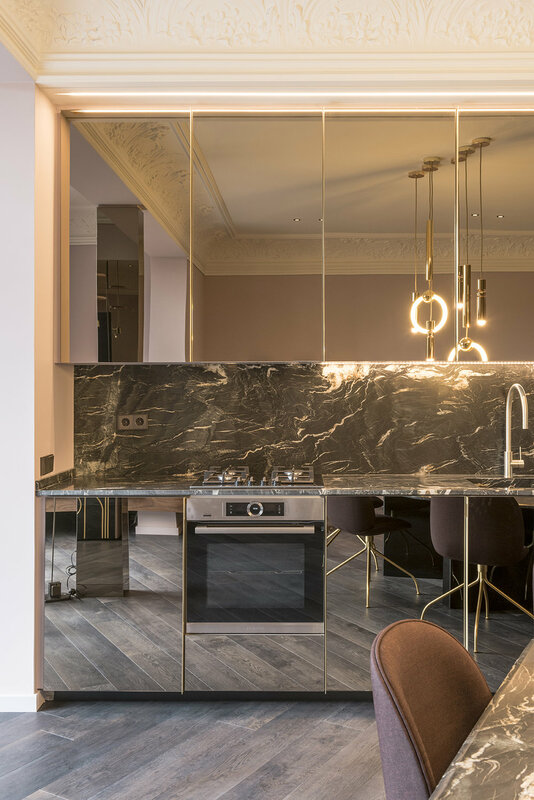 The apartment itself was in a very bad state and, like many of those old flats, did not fit the needs of the modern lifestyle of our client. We quickly realized that it would not make any sense to keep anything of the existing, but rather work out a design that would recreate the spirit of living in a modernist building. Starting point of our inspiration was the entrance of the building, with its floral painting and mouldings, and the richly decorated facade. We decided to continue this unique organic theme, and translate it into a modern, yet timeless design. 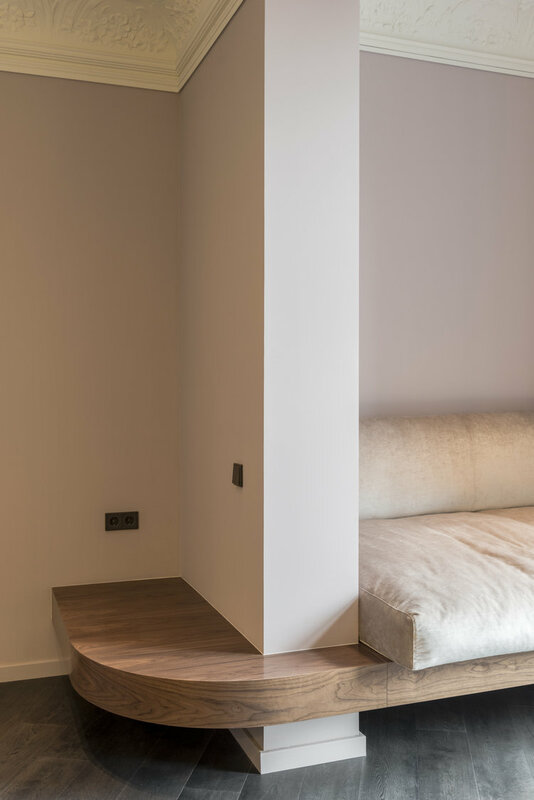 When designing the distribution, which had little to do with the original one, we chose to introduce the curved corner as main design element, which created the organic and soft flow of spaces that we were looking for. The client wanted only two bedrooms, one for himself, with an ensuite bathroom and dressing. The other one for his guests. Other than that he asked for an open space for cooking, dining, and living. A quite simple, yet challenging brief, due to the limitations of width and light. 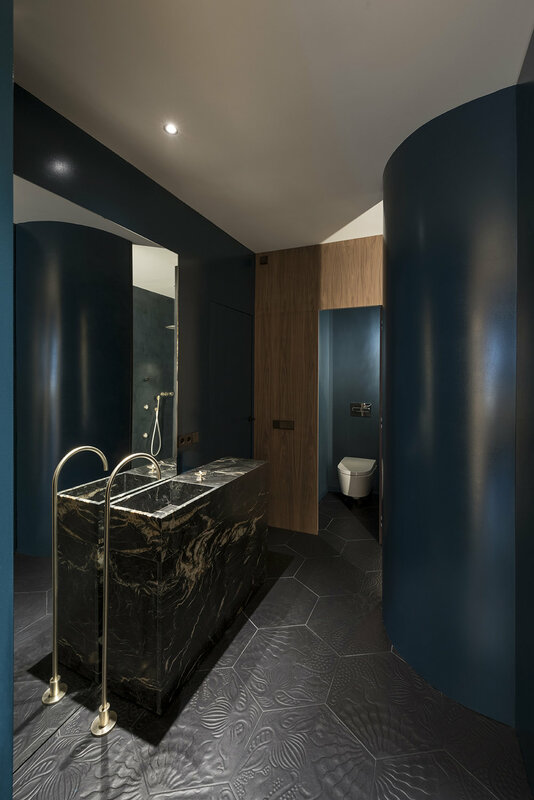 As the center of the apartment was rather dark, the idea was to play with this darkness one the one hand, by using dark colors to enhance it even more. So both bedrooms were painted in dark blue and green. On the other side we tried to bring light into the guest bedroom by introducing a glass wall, half screened off with wooden louvres and a thick pink velvet curtain. 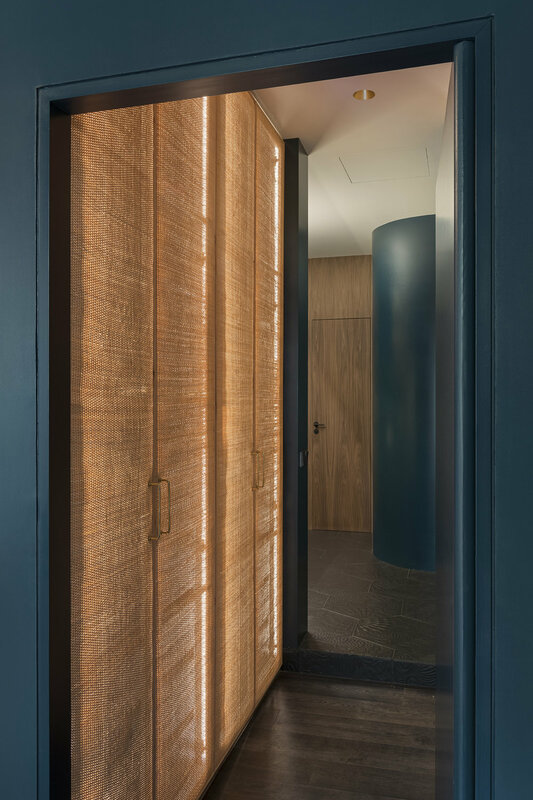 This allows to control views into the bedroom, light, and adds an interesting splash of color and texture to the wooden louvres. 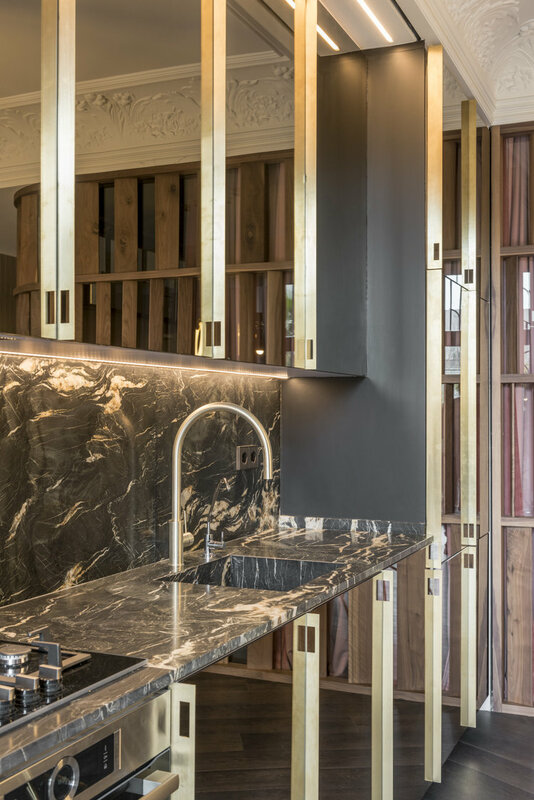 We chose the materials for the apartment based on sort of a historical trail of what can be found in the city to create an ambience that is very "Barcelona". 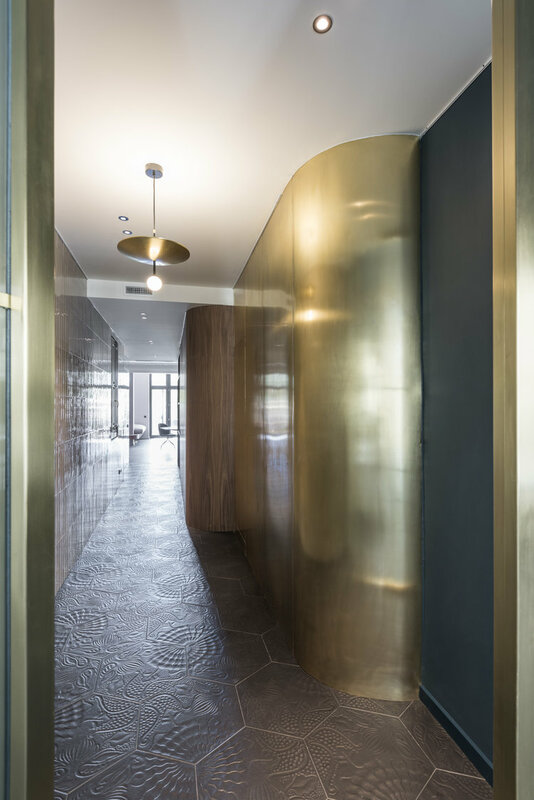 In the entrance corridor we used a hexagonal tile, based on the design of the tiles Gaudi used on Paseo de Gracia. The one side of the corridor is entirely cladded in long, narrow, shiny tiles, as a reference to the many facades in the city, cladded in tiles. 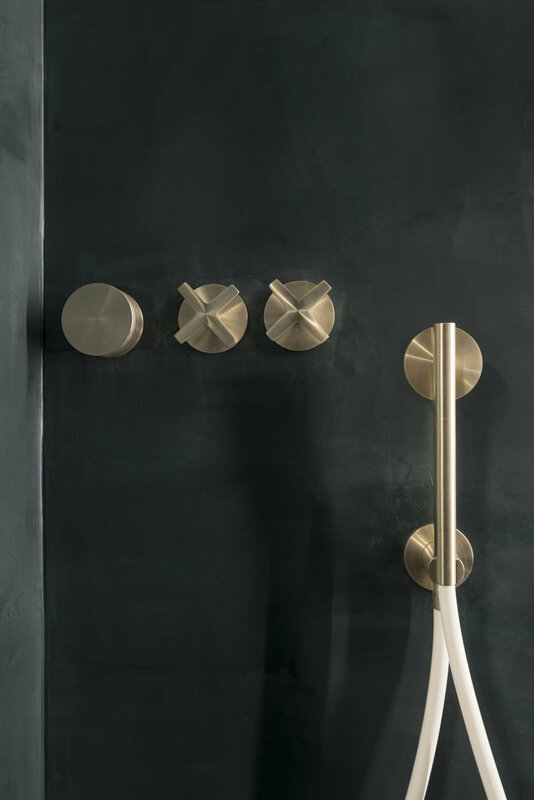 Wooden panels combined with with brass detailing for doors, handles etc. 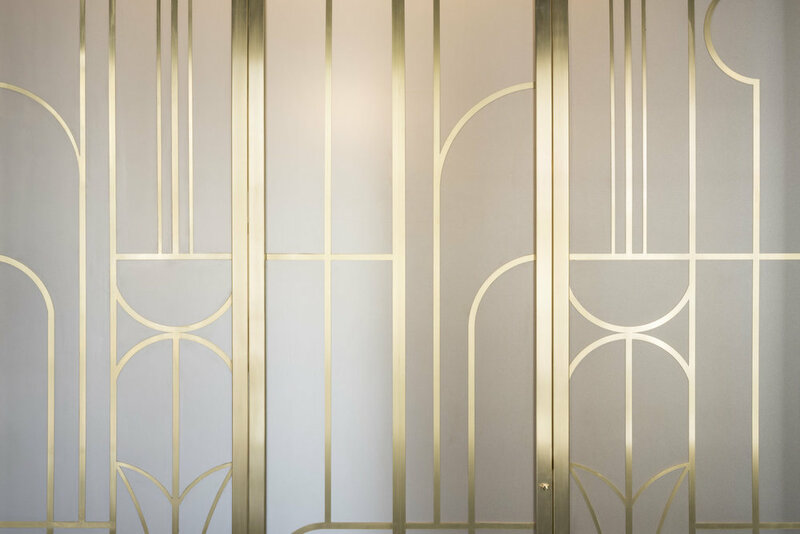 create an elegant, sophisticated touch of the art deco buildings that can be found throughout the city. 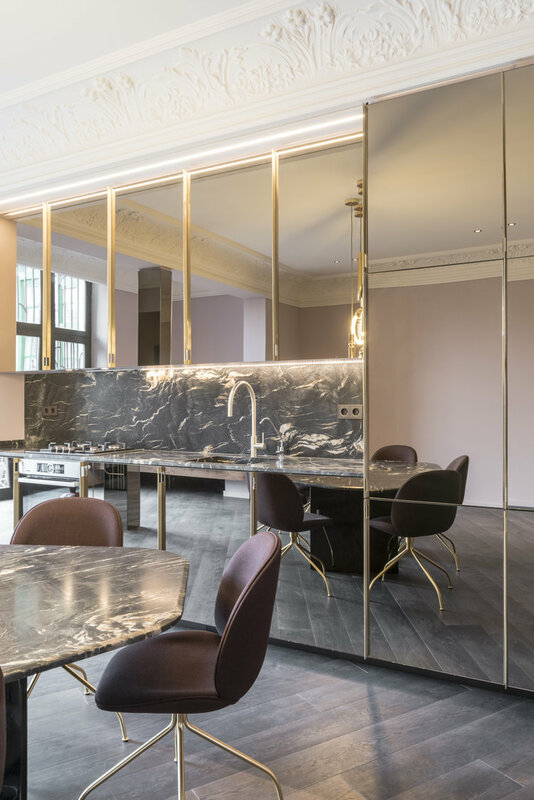 Black, granite and tinted mirrors are another reference of interiors that have been designed in the 80s. 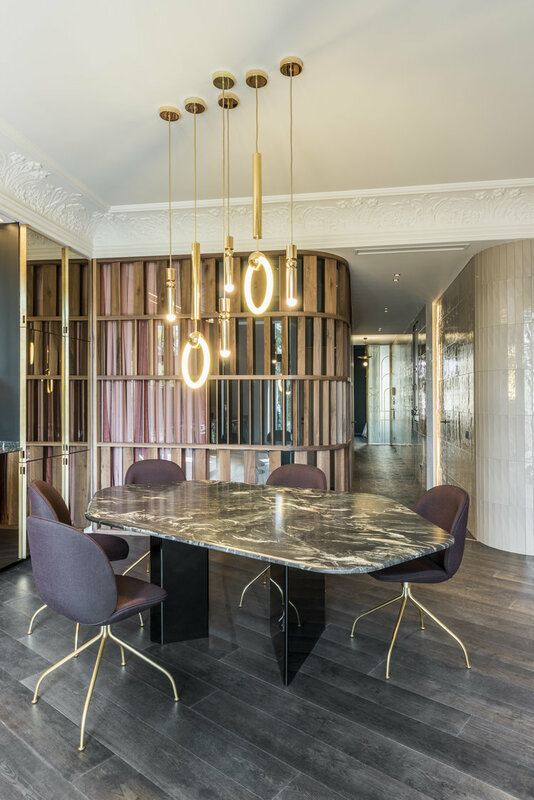 The furniture chosen represents a mix of different styles and epochs, paying tribute to art deco, 60s modernist, and modern styles (?). The garden was designed as a continuation of the apartment. It repeats the curved shapes. Different areas are defined by plant pools. 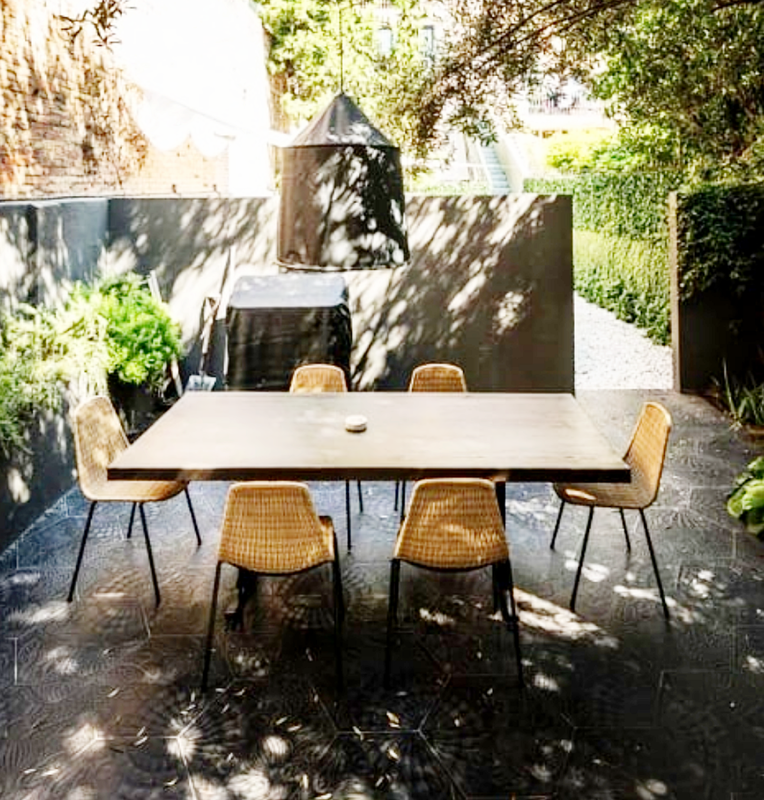 This unification of interior and exterior was enhanced by designing an outdoor dining room with kitchen in the very back of it, and a sitting area equipped with low seating cushions, slightly raised above the other areas.